The Stranger Living In Our House aka Sweet Stranger And Me aired its first episode on October, 24th and tonight will mark its 5th episode. I know that the casting news shocked everyone. I was really shocked at first too, trust me. Someone like Soo Ae (playing as Hong Na Ri), who is a A-list actress would act along Kim Young Kwang (as Go Nan Gil) and Lee Soo Hyuk (as Kwon Duk Bong). I was afraid this drama would flop and taint Soo Ae’s acting resume. 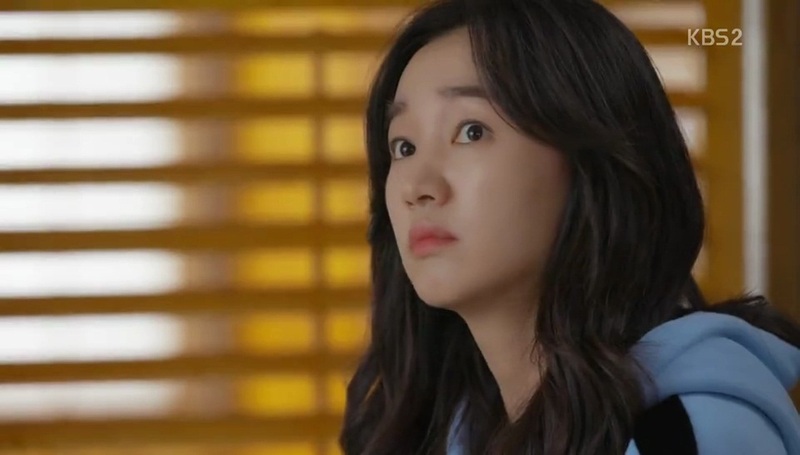 I was even afraid those ignorant newbies to kdramas would think Soo Ae’s some third-rate actress. Seeing it from many different perspective, I still don’t understand why Soo Ae and her agency took this offer. But, rice has become porridge already. Nothing can be re-done. One thing for sure, them three are slaying! And that’s what matters the most. I am also very jealous of Soo Ae’s working condition. She’s surrounded by handsome guys T_T Her working condition is the next one that I’m envious of after Kiritani Mirei‘s working condition is A Girl and Three Sweethearts. Soo Ae has been playing heavy roles for so long already. It’s refreshing watching her in a completely different role than what she usually does. Even though I knew she’s a brilliant actress but not going to lie I was not confident with her acting in romcom. She’s been doing heavy acting projects and she’s really great at it. When an actor/actress excels at heavy roles doesn’t guarantee he/she would excel light, cute, easy roles like those in romcom. This was my concern. But up to ep 4, Soo Ae is SLAYING hard. She nails this role! Not only great at serious roles, she’s also great in this type of role. 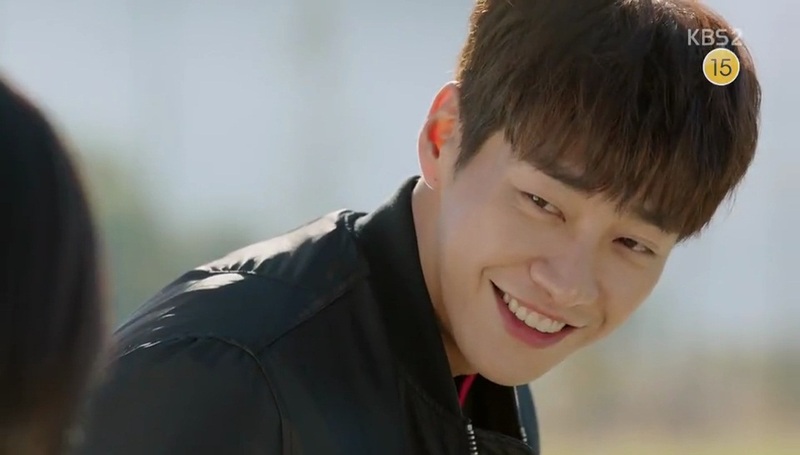 Kim Young Kwang is doing great so far. While everybody else said he ruined D-Day I stood by him because his acting satisfied me. And I came here knowing that he’d do great as the lead male. He’s doing great so far. His drunk acting is the cutest. Soo Ae is also cute at her drunk scene. Ah, they both are cute! 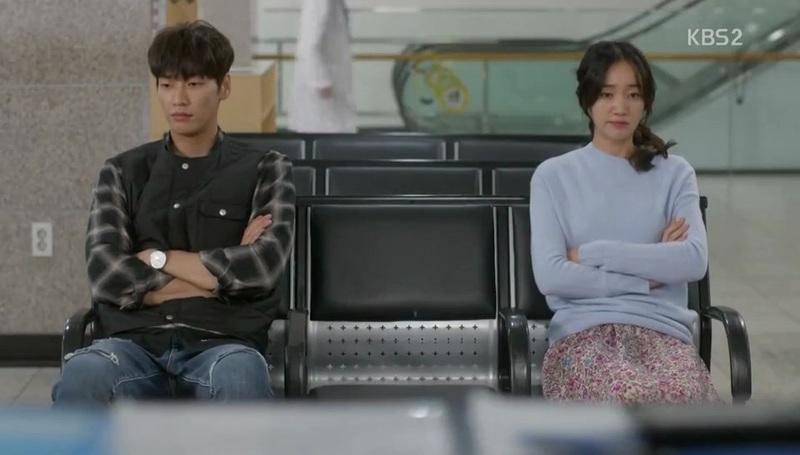 Soo Ae and Kim Young Kwang actually look good together. I thought that the age difference would be bothering me but it does not. The plot even emphasizes that Soo Ae’s character, Na Ri, is older than Kim Young Kwang’s character, Nam Gil. Na Ri even makes fuss when Nam Gil speaks in banmal with her. I haven’t read the manhwa so let me judge the drama as a stand-alone work. Up to episode 4 the story is moving pretty fast. So far so fun! One hour goes by so fast. I love that Na Ri comes out strong. She calls her jerk ex-boyfriend, scolds him, and end things for good with him. She doesn’t get sad too. She’s a brave, strong, independent woman. I like the characterization of Go Nam Gil. He’s so layered. At times he looks like he cons Na Ri for good. The other time he looks like he sincerely wants to be a good stepfather to Na Ri. Heck, he smiles like a kid when Na Ri calls him “father” even though it’s not from her heart since she just wants to shut Duk Bong’s mouth LOL. His character surely has lots of secrets like his past, his true intention marrying Na Ri’s mother. I’m seriously curious about his relationship with Dada Finance’s CEO. Was he a gang member before marrying Na Ri’s mother? Who knows! Really can’t wait for the story to unveil. I’m also very curious about the continuation of Na Ri and Nan Gil relationship. I think it’s pretty obvious for a romcom drama to have the two leads fall in love and be a couple at the end of the run. But it’s gonna be hella awkward if that happens in Stranger! Nan Gil and Na Ri legally father and daughter. Nan Gil even said he loved Na Ri’s mother… so….. In their photos together they also look happy with each other. Really really curious and looking forward to their relationship! 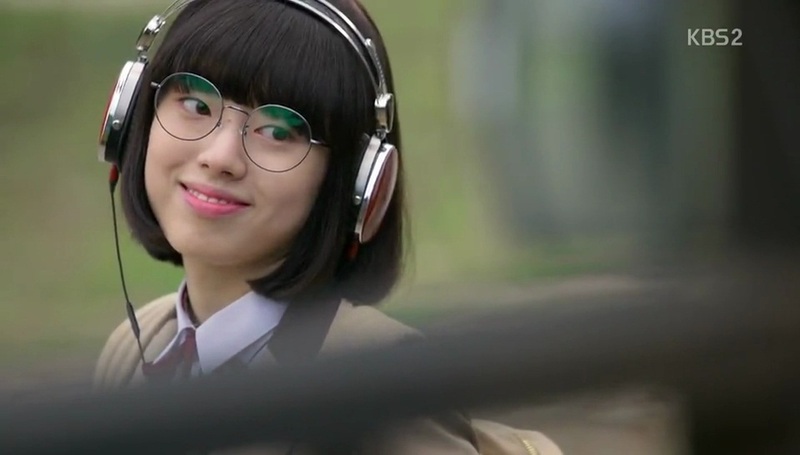 I don’t know about you guys but I seriously don’t like Kwak Duk Shim aka Duk Bong’s younger sister (play by Shin Se Hwui). I don’t get the idea of having this character around. Stranger is like teaching its viewers that Duk Shim’s behavior is acceptable. In real life someone like her is very dangerous and needs to get help from professionals. I am not putting anybody down, but really, when someone is overly obssessive like Duk Shim, it’s not healthy guys.